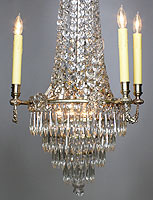 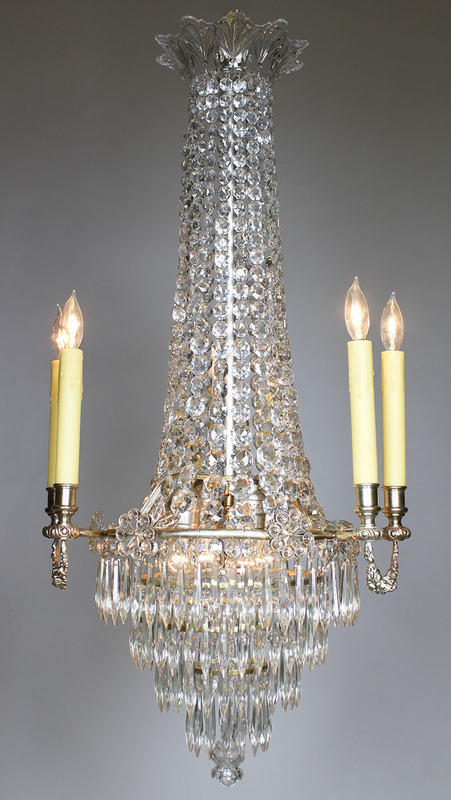 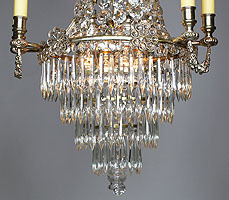 A Fine French 19th-20th Century Louis XVI style Silvered Bronze and Cut-Glass (Crystal) Ten-Light Chandelier, in the manner of Baccarat. 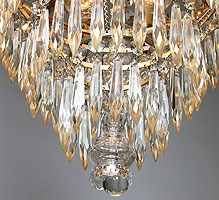 The elongated body surmounted with strands of diamond-cut-shaped glass prisms topped with a molded glass rosette above three pairs of silver plated bronze candleholders with connecting swaged wreaths and four interior lights, the lower part with a water-fall shaped sectional cut-glass bottom ending with a crystal cup and sphere, Paris, circa 1900. 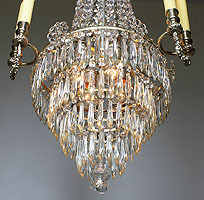 Width 16 1/2 inches (41.9 cm).